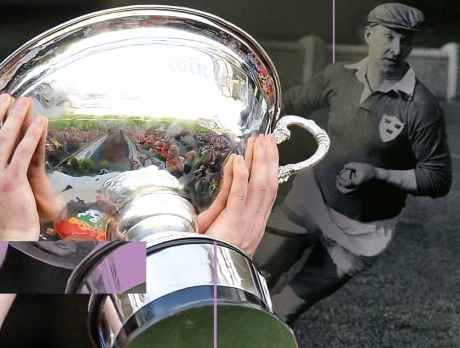 The Christy Ring Cup won by Kildare this year will be brought to Kilcullen GAA Clubhouse on Monday night next, and will be on display after the Camogie and Hurling training that runs from 7pm-8pm. The trophy will be carried by Jack Sheridan, the Naas and Kildare Senior hurler. Christy Ring was an Irish hurler whose league and championship career with the Cork senior team spanned twenty-four years to 1963. He established many championship records, including career appearances (65), scoring tally (33-208) and number of All-Ireland medals won (8) for his time. The Christy Ring Cup was introduced in 2005 and replaced the All-Ireland B Hurling Championship (1974-2004). Between 2005 and 2017 the Christy Ring Cup was the second tier hurling championship. At present, Down, Kildare and Wicklow hold the longest tenures in the Christy Ring Cup. They have appeared in every season of the cup.